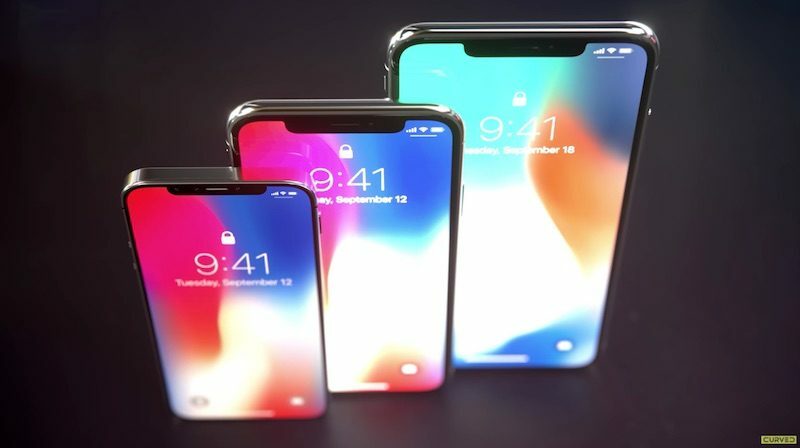 Apple is expected to begin trial production of a trio of new iPhone models in the second quarter of 2018 at the earliest, as it looks to avoid a repeat of the issues caused by the initial low yield rates on production of 3D sensor modules for the iPhone X last year, according to Taiwanese website DigiTimes. The report, citing supply chain sources, claims Apple's fast-tracking of the trial production will help push ahead the delivery schedules for the 2018 iPhones, meaning it should have more plentiful supply available for pre-orders. The sources cited add that sales of the iPhone 8, iPhone 8 Plus, and iPhone X have been "lower than expected," but they believe the earlier production will help Apple to "rekindle" its smartphone momentum. Apple's supply chain partners are said to be "generally more optimistic" about order prospects this year. Leading up to the iPhone X launch, multiple reports claimed Apple was having issues with ramping up production of the device. KGI Securities analyst Ming-Chi Kuo pegged the TrueDepth camera system as the primary reason for the supply bottleneck, due to its complex 3D facial recognition technologies. Kuo added that the yield issues began to stabilize by late October, but when pre-orders began on October 27, shipping estimates for the iPhone X quickly fell back to 5-6 weeks around the world. The estimates gradually improved over the following weeks, and the device was fully in stock by mid December. Looking ahead, Apple is widely rumored to launch a so-called iPhone X2, iPhone X2 Plus, and a cheaper 6.1-inch model with Face ID, but with design tradeoffs like an LCD screen and no wireless charging. And if today's report proves accurate, getting your hands on one of the new models should be easier this fall. dat iPhone SE 2. want. Honestly, this thing looks perpetually futuristic—like, remember in 2006 when Apple was believed to be making a touchscreen iPod that became the iPhone? Remember reduced-bezel mockups from 2014? Here they are. I don’t understand another SE or the desire? Maybe just for size? Cause I should would rather buy a discounted iPhone X or 8 plus next year if I wanted to save some money. Exactly right, it’s the size. I’m not composing literature with my thumbs (which can’t even reach across the screen of my 8) and I’m not watching “high-def” movies on an iPhone. I want an easily pocketable one-handed device. I just found my old 4 and it was absolutely perfect. They’ll get their sales when they drop that price. It’s high for US costumers and you can imagine how insane it is for the rest of the world where salaries are 1/3 of Americans or lower. Bring it. We want it. Okay so we are supposed to call the iPhone X the "ten" right? (not 'eks'). So is the iPhone X2 the "iPhone ten-two" ? What happens in 2020 when there is the iPhone "ten-four" ? Won't that confuse our CB radio friends? At $1k for a phone a lot of people will still pass. It'd be good if Apple could put a similar level of thought into the Mac Pro . . . It brings me much joy that despite not being mentioned at all in the article and only being shown incidentally in the accompanying obligatory image, the iPhone SE still enjoys most of the chatter in this thread. I WANT THAT SE2 NOW!